The RX40 Passive Infra Red Sensor uses the Quad Zone Logic for accurate detection of humans. 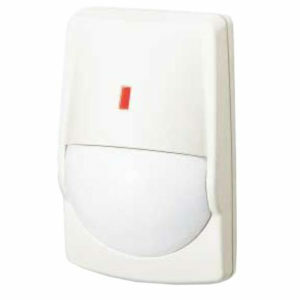 It is designed to give extremely high false alarm protection by detecting temperature changes. The RX40 uses taller detection zones divided into upper and lower areas, it then detects the” changes of IR energy in both of the areas and then couple them to give an accurate detection. This enables the RX40 to offer high reliability in hostile areas. Quad Zone Logic provides multi-segmented detection zones throughout the detection area. An alarm signal is created by the cumulated total IR energy of each zone. It is designed to provide 4 to 8 zones for a human-sized object to create sharp and maximum signals for stable detection. Spot temperature changes, i.e. by rodents or curtains etc., may affect only one or two zones at the same time creating a smaller detection signal. These signals are further analysed by the “ECO” Chip and signal processing circuit for accurate detection and filtering out of false alarms. Obtains an accurate focal length for each detection zone and maximises the performance of Quad Zone Logic. Prevents drafts and insects from reaching the pyro element. No alarm at 20V/m from 100MHz to 1 GHz.